Brown sugar. An important ingredient for so many sweet treats but I wanted to pair it with something remotely healthful…glazed carrots was a thought! It’s kind of a throw back sort of dish but tasty none the less. I remembered that I had some kale I needed to use up back at the apartment and decided to somehow incorporate that as well. My menu was set. After completing my volunteer session Saturday at the farmers market I got to shopping and came out of there with these lovably knobby carrots and fresh goat cheese from Lynnhaven to round out the meal. While those simmered away I sauteed the kale in olive oil, butter, and garlic. I then turned to the goat cheese. So fresh and tangy but also…a little bland. 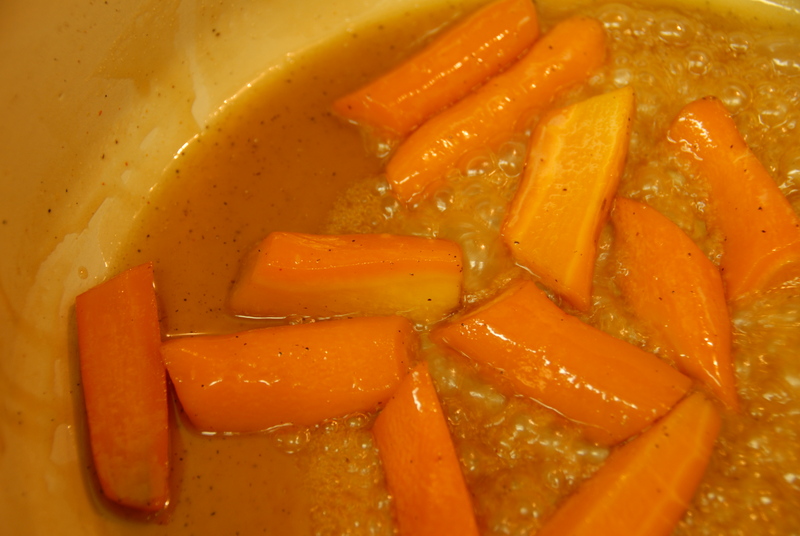 I doctored it up a bit with S&P, a touch of olive oil and then stirred to combine with a touch of the glazing liquid. The result – a sweet, salty, peppery dollop of goodness. Place that atop the carrots and kale and enjoy. A lovely little meal if I do say so myself. And really not too time consuming! This preparation would lend itself to so many different types of vegetables…can’t wait to try it again! 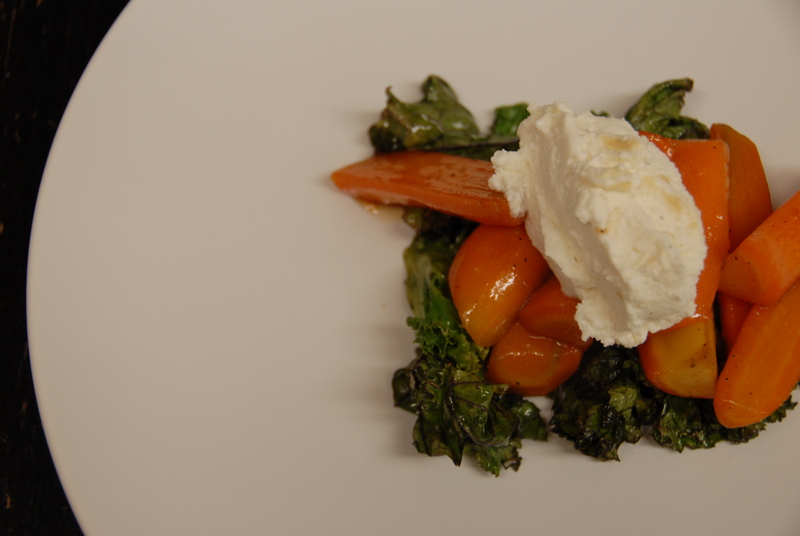 This entry was posted in Brown Sugar and tagged brown sugar, carrots, glazed, goat cheese, kale. Bookmark the permalink.